Darien Goodwin, Head of Transport for Lewisham Council, last night told hundreds of people at the area forum that there will be six trains per hour throughout the day going to London Bridge from Forest Hill. Everybody was pleased to hear this reassurance that the services would not be cut to 4 tph at off-peak times (including the evening services from London Bridge to Forest Hill). Jim Dowd MP gave further information, predicting that the rumours of cuts in the service would be proved to be unfounded when the official consultation is published later in the year. "This service frequency [the East London Railway] combined with 6 trains per hour to London Bridge will provide passengers with a total of 14 trains per hour between Sydenham and New Cross Gate"
attract over 55% of passengers currently travelling in a northbound direction will use East London Railway services, compared to 44% using the Southern railway services to London Bridge. In the Southbound direction, 54% of passengers are predicted to use the East London Railway, whilst 46% will use Southern services." "The level of boarding at Forest Hill station is expected to increase by approximately 27% in the morning peak, with a significant increase of trips to Canary Wharf via Canada Water. Therefore, there will be less congestion at London Bridge station, due to the direct connection on the Jubilee Line at Canada Water station." Importantly this letter does not claim the 14 trains per hour will continue throughout the day, and current proposals only show 14 tph at peak times, with just 4 tph travelling between London Bridge and Forest Hill at off-peak times (including the evening peak). TfL analysis suggests that ELR will be preferable for 55% of passenger in Forest Hill. Our own survey suggests that currently only 35% of passengers would benefit from the improved connections with the Jubilee Line, while the remaining 65% of passengers need to use the connections at London Bridge. While it is inevitable that there will be more passengers travelling to Canary Wharf and other areas of growth in East London, these growth predictions are quite remarkable considering new office space is still being built, and is still popular, in the centre of London and this does not look like changing in the next three years. TfL were adamant that their modelling of travel patterns are accurate and have undertaken to give us more details on the results of the models. They support plans to increase the length of trains to 10 carriages per train on Southern services on our line. This project would apparently cost £12million and is one of the best value for money transport projects in London! They are still waiting for approval of funding from the DfT / Treasury later this year but expect this to go ahead. This is good news. The bad news is that we will have to wait until 2016, six years after the reduction in Southern service trains on our line. We continue to oppose cuts to both our peak and non-peak services to London Bridge and believe that TfL modelling does not take full account of customer preferences for an interchange at London Bridge (to any transport service other than Jubilee Line) rather than the slow train to Bishopsgate or an extra interchange at Canada Water. A reminder that the Forest Hill Society Pub Crawl takes place THIS SUNDAY, starting at 7pm at Bar Equal. Please feel free to join (or leave) at any of the points along the route. Our guide for the evening, Charlie, assures me he'll wear something conspicuous to identify himself. So, here's the route and we hope to see many of you along the way. 7pm Bar Equal, HOP Good choice of wine and Czech larger. There is an article in the South London Press today about our campaign to keep existing train services to London Bridge. The Tyson Road development has been refused planning permission by Lewisham Council. The full text of their decision can be read here. 2) The proposal does not reflect the existing character of the surrounding area and is out of scale with the neighbouring buildings. 3) Poor design of proposed buildings on Tyson Road. 4) Insufficient work done in relation to existence of protected species and lack of compliance with Council policy on nature conservation. We welcome this decision by Lewisham Council planning department but understand that the developer may appeal. "By introducing eight East London Line trains per hour (tph) to the Slow Lines, it is anticipated that the current service to London Bridge will reduce by two tph all day, i.e. from eight tph in the peak and from six tph to four tph off-peak. Thus, the number of trains running on the Slow Lines increases by six tph all day. The final train service specification will be dictated by the outcome of Network Rail’s South London Route Utilisation Strategy which goes out for formal consultation between May 2007 and August 2007." "We understand that Network Rail remains 'uncomfortable' with the intensity of the service foreseen though the combination of ELL and South Central franchise trains. Whilst DfT acknowledges these concerns, the Department is very aware that passenger demand forecasts indicate that the number of passengers using the rail network, particularly in the commuting peaks, will continue to rise for the foreseeable future. This, in turn, is likely to drive the need for more trains to operate on the network. Some of the increased capacity benefits deriving from the introduction of ELL services would be lost if there were to be a significant reduction in South Central franchise service. The level of franchised service has already been reduced in order to arrive at the specification that was agreed on 19/8/05, and it is doubtful whether a lower level of peak direction service is sustainable." a) That although a reduction is services by 2 tph is not necessarily the final outcome, it is what is anticipated by TfL. b) Network Rail may wish to further reduce service through Forest Hill, either by further cuts to existing services or by a reduction in the ELL use of the line. DfT believe that further cuts would negate any benefits derived from the ELL extension. c) DfT forecast that the current planned capacity will not be sufficient in the foreseeable future (the italics for more were in the original letter not added by me). This means that cutting any services to London Bridge in 2010 will lead to overcrowding in the short term on the route to London Bridge (our projection), and major problems in the medium term as demand increases according to DfT projections. 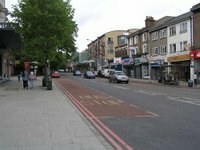 Later in January, on the Tuesday 30th January at 7:30pm there will be an Area Forum for all residents in Forest Hill, Perry Vale and Sydenham wards. This meeting will take place at St George's Church at the junction of Woolstone Road and Vancouver Road. More information can be found on the Lewisham Council website. 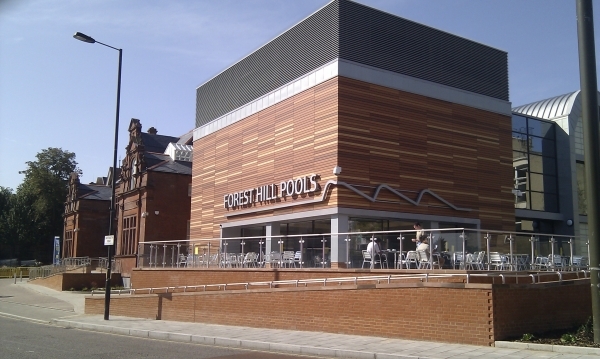 The Forest Hill Society has two events for members in January and February. On Sunday 21st January we are having our first pub crawl. This is a chance visit a selection of pubs in Honor Oak and Forest Hill and possibly have a drink or two along the way! We will be meeting at 7pm at Bar Equal in Honor Oak, but be prompt or you might get left behind. On Sunday 25th February Steve Grindlay will be taking us on a 2 hour historical walking tour of Forest Hill starting at 2pm at Christ Church, South Road and concluding in London Road at 4pm. Steve knows a huge amount about local history and you are guaranteed to learn something new about the area.